“Music is what feelings sound like,” wrote an unknown author. 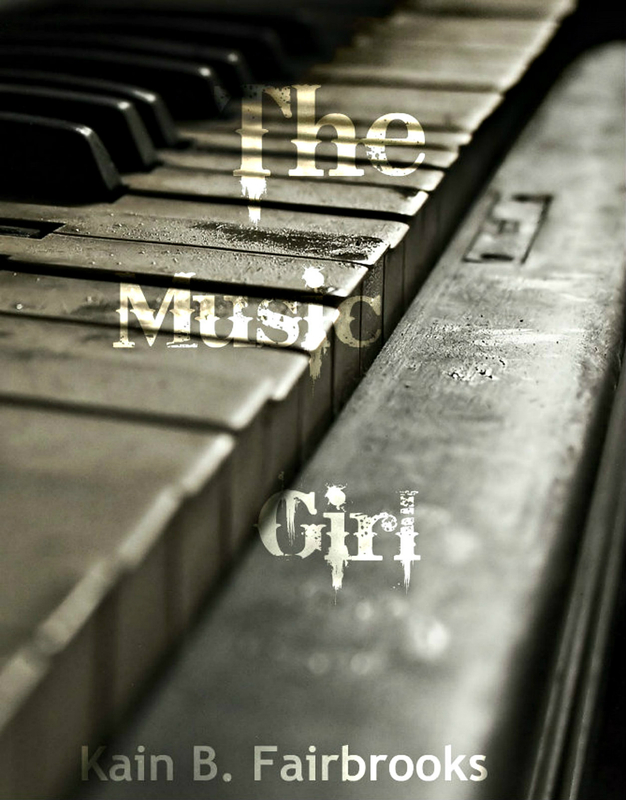 In Kain B. Fairbrooks’ new release, The Music Girl,” a victimized child kept in isolation by her own parent not only discovers that the timeless power of music holds the key to express her emotions but also to facilitate her freedom. At just 20 years old, Fairbrooks is a newcomer to the writing scene but has made the inventive decision to ignore many of the conventions of fictional storytelling and write The Music Girl as a poem. Q: For starters, tell us a bit about your journey as a writer and what (or who) inspired you to pen your first story? A: Ahhh the one who inspired me was my mom. She used to tell me and my sister stories only using her imagination. And I absolutely loved it to death! She would even encourage us to tell stories back to her and this started my whole “I wanna be a writer” when I was five years old. In first grade, the principal of my elementary school noticed that I wouldn’t go out for recess but I would spend my time writing inside. I showed her a short story I wrote and she loved it and got it published. It sat in the school library for years while I was attending there. After that I played around with my writing, improving it- learning more techniques until the end of high school where I started getting…haha somewhat serious! Q: Did you read books before bedtime as a child? A:Yes I did! Just quite a few, though. Q: What are some of the titles we might have found on that childhood bedside table? A: The Complete Tales of Beatrix Potter was one. The Road To Elyon, Dr. Seuss’s array of stories, a bunch of fairytales, Mother Goose, and newspaper comics! Q: So what might we find on your bedside table these days? A: Haha nothing! I know, it’s weird. Q: One book at a time or multiple books? A: One book at a time. It tastes better that way. Q: Would you describe yourself as an introvert or an extrovert and what influence does that have on your creativity, energy levels and response to feedback about your work? A: I would think I’m an extrovert. Sometimes my creativity runs really high and boosts up my energy causing me to write multiple stories at once. Especially when I’ve had a social interaction. Q: Tell us what The Music Girl is about. A: The Music Girl is about a young lady who went through ten years of abuse and neglect from her envious mother who locks her in the attic. In the attic, she realizes that she wasn’t alone. There stood a very old piano that still worked and so she began learning how to play. Crying out her pain through music. One day, she escapes her mother’s wrath by killing her mother and burning down the mansion she was held captive in. She throws away her name and all that she is and begins her musical journey, learning how to play various instruments from people off the streets and professionals. Q: The choice to craft The Music Girl as a poem story is an interesting one. What governed that decision for you? A: There was this story before The Music Girl that I wanted to write in the fashion of a poem but tell a story. Though, my inner thoughts told me that people wouldn’t like it- I shouldn’t try it- what if people don’t get it? So I dropped the idea, now regretting it horribly! But a few months later, I thought of The Music Girl and went…maybe it won’t be so bad? What’s the worst that can happen? A few chapters later and I absolutely loved writing in such a strange way. Also the people on Figment* helped me see that this was a great decision to write it like this, so I kept it! Q: Did you work from an outline or just allow the scenes to flow spontaneously? A: I let the scenes flow naturally. Though sometimes I wished I used an outline. Q: Writers often spend a lot of time editing, editing, editing. Did you do your edits as you were writing or wait until the entire thing was finished? A: I edited as I was writing it. Because I posted each chapter on Figment every day, I had to make sure that it was on point or else my conscious would get to me. ‘Why did you post that crap?’ it would say. Q: Was there anything significant you ended up editing our prior to publication? A: I’m pretty sure I ended up doing the opposite and adding more in than editing out. Q: Who’s your target readership for The Music Girl and what would you like them to take away from it by the time they reach the end? A: Probably adults who had a horrible past and couldn’t let it go. I wanted to show people that things happen, horrible things, and it’ll try to pop itself up back in your life and make you afraid of the future. But you can’t let it do that. You can’t let it ruin you. Something like that, I suppose. Q: The choice to self-publish has become a popular one for today’s writers, especially insofar as the desire to control one’s intellectual property and move it on to the market as quickly as possible. What are some of the things you learned during this process and what are you doing to spread the word that your new book is available? A: Some of the things I learned are that there are people willing to help you spread the word but also to do your research beforehand. I ran into a lot of free promotional things while trying to spread the word. People do free postings on Facebook, tweets from Twitter, and give your book a read and make a blog post about it. Even book tours. It’s really incredible! A: I’m in the process of publishing two illustrated children’s books by Light Books and working on a horror novel called Thy Broken Mind which you can vote for online! Q: What do you do if you come across a dry spot in your writing or hit the all-dreaded writer’s block? A: I usually walk away and go hang upside down on the couch while looking at Oblique Strategies on my phone. Or play video games! Depends how bad it is. Q: Ever have a bad day? If so, what gives you strength to get through it? A: Yes I have! Laughter and music. Sometimes when it rains, it pours hard and you forget to laugh. Q: Morning person or evening person? A: Dogs all the way!! A: Oooh….cheesecake. I’m sorry my beloved Boba. Q: Movies that make you laugh or movies that make you cry? A: Movies that make me laugh. Q: The most favorite thing you have in your closet? A: My Alucard cosplay coat that I got autographed by Crispin Freeman, an English dub voice actor! Q: Pandas, polar bears, koalas or grizzlies? A: That I enjoy raves! Q: Where can they learn more about your work? A: Probably the best place is my Figment page, which has all the rough drafts of a lot of my writings, Basilica Press, and Twitter! “Poetry,” wrote Dylan Thomas, “is what in a poem makes you laugh, cry, prickle, be silent, makes your toe nails twinkle, makes you want to do this or that or nothing, makes you know that you are alone in the unknown world, that your bliss and suffering is forever shared and forever all your own.” In this month’s feature interview, award-winning published poet Larry Schug invites us inside his world and introduces us to the elements that inspire him to be creative. Q: Let’s start with a brief overview of your journey as a writer. For instance, did you come from a literary background when you were growing up or did the desire to write not take root until adulthood? A: My mother and father were both readers. My dad read westerns, Louis L’Amour, etc. and my mother read romance novels; not exactly classic literature, but a story is a story. Though my father only finished eighth grade and my mother just high school, they somehow set me on the reading path. My mom’s sister, who was a school teacher, taught me to read before I started school and I’ve been an avid reader my whole life. I’ve always been fascinated with words, their power to paint pictures in my brain, to make my heart beat fast, to stir emotions inside me, the sounds they make coming out of my mouth. I think I was a decent writer in school, at least academically, if not creatively. It did not cause me pain to write book reports, term papers or essays for class, in fact, I enjoyed doing so. I do remember getting positive feedback from a teacher for a poem I wrote in third grade and, for some reason, that stuck with me as something I could do well. But really, my ambition as a child was to be a baseball player or a cowboy, not a writer. I continued writing poems while growing up, but never showing them to anyone or even keeping any of them. I actually wrote quite a bit while in the army, a way to achieve catharsis, more than anything, but again, not keeping them or sharing them with anyone. After my parents died while I was in my thirties, I wrote poems to express my grief and I finally shared them with other people, some of who told me I had a gift and should try to publish them. I finally listened. To this day, I think my best poems come from dealing with grief, having survived my parents, a brother and good friends who have passed on. I guess you might say I have broadened my horizons to include writing about everything I’ve encountered in life. Q: What part did/does poetry play in your life and in shaping your particular outlook about the world and about your relationships with others? A: At this point, I think I see life as a poem constantly being written, the way I imagine a musician sees the world as song or the way a painter perhaps views the world as images to be painted. My wife and I are fortunate to be able to live on a beautiful piece of property we share with deer, coyotes, otters, sand hill cranes and a wide variety of bird life. I am enamored and influenced by the natural world, its beauty, its grace and the way it has shaped us. I’m a dedicated “tree hugger” and very concerned by what seems like our planet’s slow but certain degradation. I sincerely hope I’m wrong about that and I hope that my poetry in some way can influence others to do better by our little planet. Earth is the only place we can live and what makes it such a magnificent place is its beauty and all the other creatures that share our planet with us. A goal for my poetry is to inspire others with the beauty, variety, and magnificence of our world and I do see signs of hope in the upcoming generations. I feel a need to write my life and my observations down and poetry is the form it most frequently takes. Poetry helps me figure out this state of being we call life in all its twists and turns. Being a fairly shy person, I’ve found poetry is a way for me to communicate. I also like to read poetry. I read poetry every day as a learning tool, but also I love the music inside words. 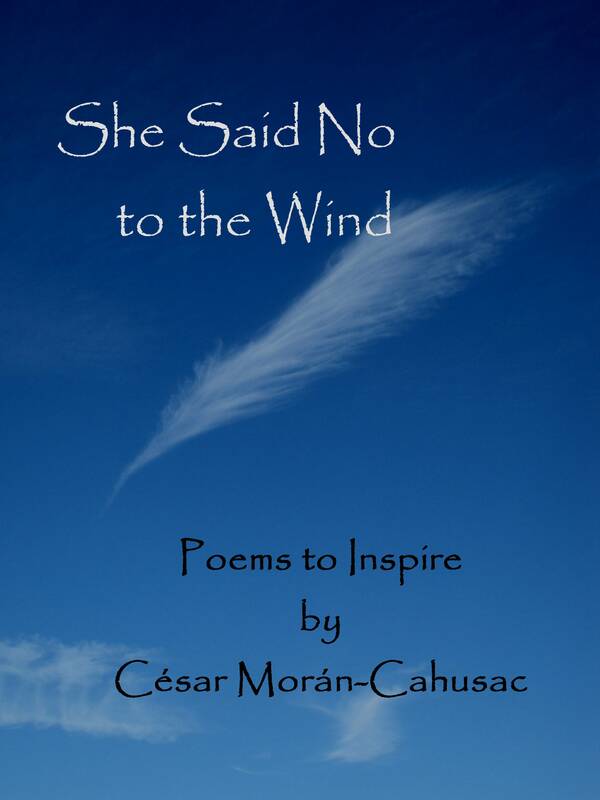 Poetry enlightens me, shows me life in new and unexpected ways and from different viewpoints. Poetry teaches me how to be a human being. Q: Your biography reflects that you’ve spent a lot of time at physical labor. How does this come out in your poems? A: Writing is a physical task. I think performing most kinds of physical work is doing “one thing at a time”. I’ve worked as a paperboy, groundskeeper, farm worker, forest firefighter, forestry technician, grave digger, dish washer, factory worker and recycler, all of which are physical and repetitive. I find my make-up is well suited to these kinds of tasks and I see them as Zen-like in their performance in that a person must be aware of what their body is doing in order to work safely and efficiently, focused in the here and now. I’ve also been heating my house with firewood for at least half my life and cutting, splitting, carrying and stacking firewood must be done with this same Zen-like outlook. I would probably make a good ant or honey bee (perhaps I was in a past lifetime!) as that is how it seems they go about their work, picking up pollen at a flower and returning to the hive or gathering leaves and returning to the anthill repeatedly. Writing poetry is no different, especially when it comes to re-writing or finding the right word to accomplish the work of a poem. Poetry requires intense attention to the job at hand, not a multi-tasking approach. I write all my poems with a pen on paper, including all re-writes. I like the physicality of doing it this way; for me, writing is as much physical as mental. Only after a poem is “finished” does it go to the computer. repair its threads of twisted waters. Mending Mittens is the real Larry Schug. It reflects my relationship with physical work and also brings out my spiritual side. It captures me as a “dreamer”, yet, I think portrays me as being realistic. This poem captures my love of the natural world and all of its inhabitants and my fears and sorrow at the injuries we are inflicting on what gives us our very life. Q: Has retirement – and the change of lifestyle this has introduced – impacted your writing and creative processes? A: It has, in that while I was working I had to “schedule” my writing to early morning or evening times. Now I’m free to stop what I’m doing and write if I feel the need. What I may have lost in concentrated discipline, I have gained back in time. Yet, I feel I have maintained the proper discipline needed to be productive. I now spend more time away from people, but when I am with others it is not solely in a work environment, which was rather limiting. I am not a hermit. I volunteer as a writing tutor with college students and also volunteer as a naturalist, both of which provide an avenue of contact with people in a more open way. I think my creativity has expanded with an increase in time devoted to different pursuits. Another change is that I have more time to read, which is important to writing, opening up new avenues of thinking. Q: Share with us how a new poem is conceived in your imagination and how long it takes to actually be “born” for a publishable debut. A: Poems come from paying attention to being alive and all that entails. Again, this a Zen-like outlook and just as meditation requires that a person be mindful of their breathing, poetry requires that I must be aware of what is going inside as well of outside of me. With practice, I’ve been able to develop a sense of poetry in everything. I can’t think of anything not fit for a poem. Along with that, my internal dialogue seems to have a visual component; in that I see things that happen as poetry and I see my thoughts as poems if I pay attention to them with a poetic outlook. A poem often begins with an image in my head. Having said that, I write down my thoughts and observations and then transform them into poems with the use of language, metaphor, sound and all the other tools in a poet’s toolbox. If lucky, the poem may just happen, but most likely, I’ll have to go to work and make these thoughts or images into a poem, shaping them in a poetic form. All this can happen quickly, but more often it’s like trying to put a puzzle together, which takes time. Rewriting is crucial. Each poem has a life of its own and its own time frame. I think I’ve learned to listen to the poem and let it tell me how it needs to be written. Like a lot of endeavors, the journey is as important as the destination. I’ve also learned to let a poem tell me when to stop, when it is done, when enough is enough. Q: What governs your decision on how to physically format a poem? The New Yorker, for example, has a gimmicky fondness for displaying a lot of poems as inverted pyramids, antlers, skinny columns and PacMan circular motifs – none of which really adds to a greater appreciation of the content. I’d be curious as to how you approach the presentation question. A: How a poem appears on paper is important. Line breaks are crucial in finding the correct form and so, in that way, the poem forms itself. I write in complete sentences, not fragments, but that does not mean a line of a poem can’t be just one word if that words needs to be emphasized. This can lead to a poem assuming an unconventional shape. I’ve only written one “picture poem” in which the poem formed an image, in this case a stalk of wheat, in the poem “The Roots Know”, published in my first book, Scales Out of Balance. A: I have always been a “morning person”, probably because I got up with my dad who was an early riser. My first real job was as a paperboy, delivering the morning Minneapolis Tribune. This does not necessarily apply to my writing schedule, though I do feel a certain receptivity early in the day. I try to keep myself open and receptive at all times. I always make sure I have paper and pen with me as I go through the day, so location is not much of a factor either, though I do most of my writing in a notebook on a small wooden typewriter table in “my corner” of the upper floor of our small house. Q: You devote a section of At Gloaming to New Mexico and Ghost Ranch. Explain the connection. A: Ghost Ranch is a retreat/educational/conference center near Abiquiu, New Mexico. It is a place of peace and creativity, perfect for contemplation. I have been going there for the past nineteen years with a group of college students as part of a service program called Alternative Break Experience sponsored by Campus Ministry at the College of St. Benedict. We work for Ghost Ranch, helping them to fulfill their mission and also work in the community doing various kinds of work from cleaning acequias (irrigation ditches), working at a local animal shelter, planting trees with an environmental organization and helping the elderly or working in local schools. Ghost Ranch has a long history, going back to the Spanish incursion into New Mexico and the native cultures that inhabited the area before that and finally to the Anglo-American culture, but the history of the land goes back to the dinosaurs. Georgia O’Keefe had a house at Ghost Ranch and did much of her painting there and, somewhat ironically, the people who developed the atomic bomb at Los Alamos went to Ghost Ranch for R and R. The focus of our experience is environmental justice, but we also learn much about local history, geology and about the mix of Anglo, Hispanic and Native cultures. It is a place of great beauty in the high desert, a land of mesas, buttes, arroyos and mountains. All this, plus the people I’ve met and worked with, is very inspiring to me to me as a poet. The culture and landscape is vastly different than the culture I grew up in here in Minnesota and I have fallen completely in love with it. I think the difference is something I needed to experience and explore and, for me, what better way than poetry? This difference has opened new doors to my way of thinking and seeing things that I need to translate to poetry. Q: Who are some of the poets whose work you admire and who may have had an influence on your own writing style? A: Duluth, Minnesota poet Barton Sutter, a former Creative Writing teacher of mine, is a big influence. Lucille Clifton, Ted Kooser, Jimmy Santiago Baca and John Caddy are just a few of many poets who have influenced me and taught me through their poems. John Caddy in particular, showed me that it was ok to write about growing up in an alcoholic family situation and that good poetry can come from that experience. I almost hate to list anyone, because it seems an insult to leave so many great poets off this list. When I speak to students I tell them that it’s imperative to read good poetry in order to write good poetry. All of the poets I’ve mentioned write in a clear and understandable yet lyrical voice. I do like to stretch my brain, but I really don’t like poetry that I can’t understand and leaves me scratching my head in befuddlement. Q: If you could go to lunch with any of these poets, who would it be, where would you go, and what question would you most like to ask? A: Tough question. Today I would choose Jimmy Santiago Baca because I’d like to know more about him and also because he lives in New Mexico and we could go to my favorite restaurant, El Farolito, in El Rito, New Mexico and eat the world’s best sopapillas. His background is intriguing and I think he’d be a great person to know. I would love to hear his thoughts on writing poetry, how he goes about it, its purpose, etc. I’d ask him all the questions you’re asking me in this interview. Q: Your poetry has been recognized with a number of awards. Congratulations! Tell us about them. A: I have won a number of local grants from the Central Minnesota Arts Board and had a couple poems nominated for the Pushcart Prize, but the award I am most proud of is winning a Loft McKnight Fellowship in 2008. My second book, Caution: Thin Ice was a Minnesota Book Awards finalist and Arrogant Bones was a Midwest Book Award finalist. I certainly don’t think any award means that a person is a “good” writer. Awards are pretty subjective and, really, luck plays a part. I think an award means that something I wrote touched a certain human being or group of them at a certain time. It is a validation of what I do, of course, but my ego is not so big as to put a lot of self-congratulatory stock in any award. They serve as a source of motivation to push myself farther. Q: Poetry is often labeled as a writing venue that doesn’t pay very well. Sadly – and at least in California – the study of poets and poetry composition in classrooms has been steadily diminishing. What’s your response to this? A: I suppose I get rather cynical, sometimes, about this, but it is what it is. As Guy Clark once sang, “Ain’t no money in poetry, that’s what sets the poet free”. I certainly don’t write poetry for any monetary reward or compensation, but, I’m afraid the fact that our society doesn’t place much monetary value on poetry somehow reflects its cultural value in America in 2014. I recently had a poem chosen to be the subject of a painting, a poet/artist collaboration, which was a great honor. The painting will sell for $1200.00; the poem will sell for $0.00. Q: Your best advice to an aspiring poet? A: I would tell them to read good poetry, study it and figure out what makes it appeal to you. This is imperative. I learn more from reading the poems of others critically, than I’ve ever learned in a classroom. I’d also tell them to read more of everything else they can get their hands on—fiction, non-fiction, newspapers, cereal boxes, street signs; anyplace they can find a written word . I would advise them to pay attention to life. Put down the electronic devices and use all your senses—sight, hearing, taste, smell, touch and use your brain. Think your own thoughts. Explore your emotions honestly. Don’t be afraid to go places inside or outside of yourself that may not be pleasant places to visit. Be honest with yourself. And, of course, there is the best advice on how to get better at anything– practice, practice, practice. Q: If you were asked to write a job description for the occupation of “poet,” what would it say? A: Pay attention to being alive and pass that on in your writing. A poet must keep in mind that he or she is not writing only for himself or herself, though that may be a part of what we do. Hopefully, other human beings will read our work; therefore it is part of our job to put into words what others may not be able to express. We should be able to enable others to achieve catharsis and healing, help them think and spark their curiosity. We must write as documenters of the past and the present. Particularly we must honor the “now”, for it is the only time we have. We are the story tellers and the “rememberers” of the tribe. We are artists in the same sense as any other artist-painter, sculptor, musician or dancer. We must also be entertainers, not so much as in the Hollywood sense of the word, but in a more thoughtful way. J. F. Powers, a famous American fiction writer of the last century, once told me a writer is nothing but an entertainer. We all need to be entertained and when we are, it can lead to a more meaningful existence. It is a blessing to entertain and to be entertained. If we are not entertaining, who is going to read or listen to our words? A: I think many people are surprised that I, as a poet, am not an academic, which, I think, is the stereotypical view of a poet. As I’ve stated above, I have made a life of doing menial, physical labor. I worked in the maintenance department at the College of St. Benedict in St. Joseph, Minnesota for 34 years and when my first book came out, it was greeted somewhat with surprise by the faculty that a person who mows the grass or sorts other people’s garbage (the fancy name for this is Recycling Coordinator) had an interest in or talent for poetry. Having said that, I must say I was very well accepted by the faculty and administration for my literary efforts. I received a lot of support, often being asked to speak in classes and having my books used as texts in various classes as well as official publications of the college. A: Right now, I’m just writing poems with no real goal for them as far as a new book. That will happen when it happens. I do like to explore a subject in detail. I have been writing lately about what goes on in Kay’s Kitchen, a small town café in St. Joseph, Minnesota that I have frequented for 40 years or more. I’m currently working on another poem that takes place there, though it is purely fictional as far as the characters and what they do, but at the same time, realistic. Q: Where can readers discover more about you and your work? 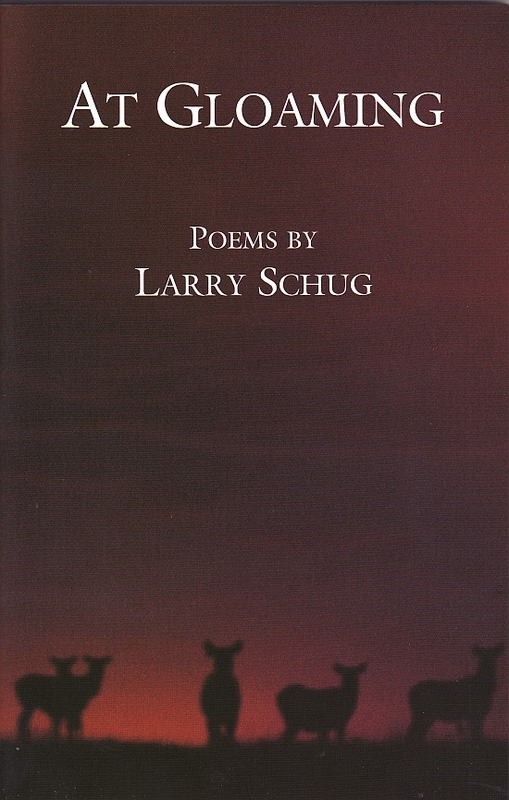 A: My web site is www.larryschugpoet.com. Readers can also google me and find some poems and newspaper and magazine articles. Send me an e-mail; I love to converse with readers. A: I would just like to thank you for this opportunity. I have learned much about myself as I answer the questions and see my writing in a clearer light. I would ask the casual reader to explore poetry. Contrary to popular opinion, poetry is not dead. It’s a vibrant art form that in some way relates to everyone.